Writing is work. It’s enjoyable work, for the most part, but it’s still work. Especially when you are hit with a bout of writer’s block. Suddenly writing is an impossible task. Creative bloggers have it doubly bad. If we are out of projects AND we can’t think of anything to write about, well, it’s pretty darn discouraging. 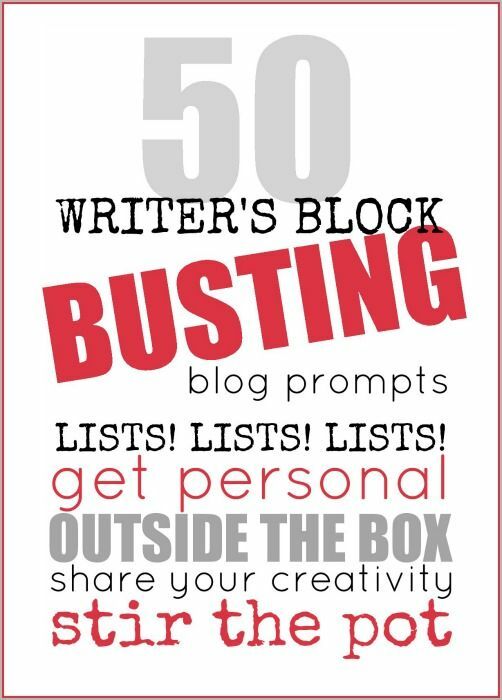 That’s why I put together a collection of blogging prompts that are designed to help you dig your way out of the dread writer’s block hole. Ranging from silly to controversial, there is SOMETHING on this list of 50 ideas that will get your typing fingers moving once again. THIS RESOURCE CAN BE DOWNLOADED FOR FREE WHEN YOU PURCHASE MY E-BOOK: "Mad Writing Skills: A Non-Threatening Guide to Grammar and Writing for Creative Bloggers"